From there it was impossible to avoid seeing Robben Island, the flat mile-long smudge in Table Bay where Nelson Mandela and other political prisoners had been incarcerated just a few years earlier. We could not see, nor did we know about, the limestone quarries where he was forced to chip white rock in the African sun. Even then to me and most South Africans – black or white – Mandela was already an abstraction, relegated to non-personhood. It was illegal to publish his photograph or quote him in the press. As a teenager, I had adopted my parents’ view that apartheid was wrong. But they weren’t activists, and I was too young to be one. Mandela and the African National Congress were barely mentioned, because doing so could bring you to the attention of the security police. Or at least we believed that was the case. I left South Africa as an 18-year-old to attend college in the United States, but returned frequently in the 1980s as a journalist – usually surreptitiously – to cover the anti-apartheid struggle. By the late 1980s, the government had caught up with me and I couldn’t return. I was still barred from the country on that radiant February day in 1990 when Mandela was released. Instead of being in Cape Town, I watched his release on television with other South African exiles in the hills overlooking the San Francisco Bay. It was a sight I had only imagined in my dreams. Could it really be that he had been resurrected, to lead his people – us – into the Promised Land? A week later I saw Mandela in person for the first time at the first official negotiations between the ANC and the South African government on the lawns in front of Groote Schuur, the mansion left to the white government by mining magnate Cecil John Rhodes nearly a century earlier. My emotions were multi-layered – enormous pride to see Mandela and other former political prisoners and newly returned exiles standing tall and free, along with a sense of vindication at having been on the right side of history, and also a tinge of anger at the wasted years. Just being in Mandela’s presence had a calming effect. I had the same feeling every time I saw him subsequently. I had a deep sense of affirmation that if justice could prevail in South Africa, it could prevail anywhere. You just had to believe it was possible. 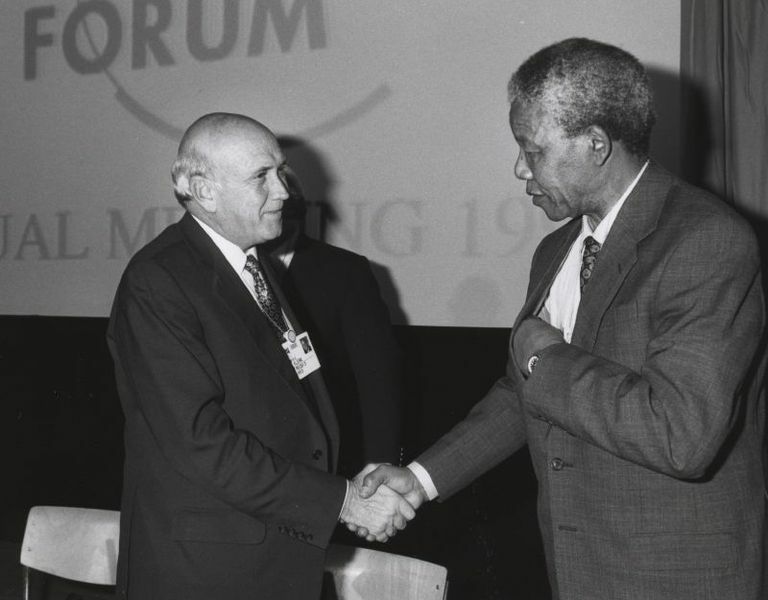 With then-President De Klerk and the delegation of white Afrikaners – all members of the once potent “regime” – behind him on one side, and the delegation of ANC representatives on the other, Mandela stepped forward and expressed hope that the negotiations would be successful. Then he started speaking in Afrikaans, to the amazement of the Afrikaner rulers, who feared almost above anything else that their language, dubbed the “language of the oppressor” by black children forced to learn it in school, would be scrubbed from a liberated South Africa. Mandela had learned Afrikaans in prison because, as he explained in his autobiography, to communicate with the enemy you have to speak his language. At the press conference the next day, a journalist asked De Klerk whether he could imagine a black person ever being president of South Africa. In that room, with a free Nelson Mandela sitting beside him, that was still a radical notion. Even at that stage the apartheid government was floating all kinds of impractical “power sharing” schemes to avoid handing over complete power to blacks. De Klerk paused, and then said, “I have embarked on this road, and I will follow it in whatever direction it takes us.” At that moment I realized that the chain of events De Klerk had unleashed were not just a delaying tactic to negotiate something less than full democracy with Mandela but that he was serious about embracing fundamental change. A few minutes later I stood within a few feet of Mandela when he cast his vote, which signaled the decisive end of more than 300 years of racial rule at the southern end of the continent. It happened almost too quickly and simply, an indescribably profound moment in my life and the history of South Africa. Ten days later, I saw Mandela inaugurated as president at the Union Buildings in Pretoria, for decades the heart of the apartheid state. The most moving part was when jets from the South African Defense Force – the same force that had tried to eliminate the ANC and bombed its training camps in neighboring countries – flew overhead in salute to the new president, the colors of the new flag streaming from their engines behind them. The last time I saw Mandela was in 1999 in his last appearance in the Parliament in Cape Town as president. My friend Terror Lekota, who had spent years on Robben Island himself, but by then was head of the National Council of Provinces, the equivalent of the U.S. Senate, danced down the aisle dressed in traditional Sotho clothes, leading a procession behind him. “Things that were unimaginable a few years ago have become everyday reality and of this we must be proud,” Mandela said, stating the obvious. And then, in his typically understated fashion, he downplayed his role in freeing South Africa from apartheid. I too am a product of South Africa. I have been profoundly blessed by having met one of the great figures in world history and seen him in action. I have been infused by the dominant but simple lesson to be drawn from his life: that change is possible, regardless of how long it takes, and how bleak the current situation may seem. We live in a world impoverished by its lack of heroes. I can only imagine how the lives of young people would be transformed, as mine was, if they too could grow up in the shadow of someone even a fraction of Mandela’s stature. Now Mandela is gone forever. The miracle was that unlike Rev. Dube and other freedom fighters in South Africa and elsewhere, he did not have to go to heaven to experience liberation. Out of the darkness into the glorious light. 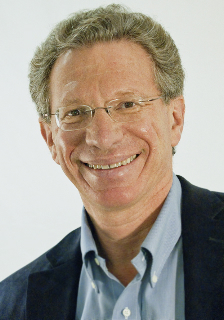 Louis Freedberg, a South African by birth who covered the end of apartheid and the transition to democratic rule for Pacific News Service, the San Francisco Chronicle, National Public Radio, and other publications, is executive director of EdSource.